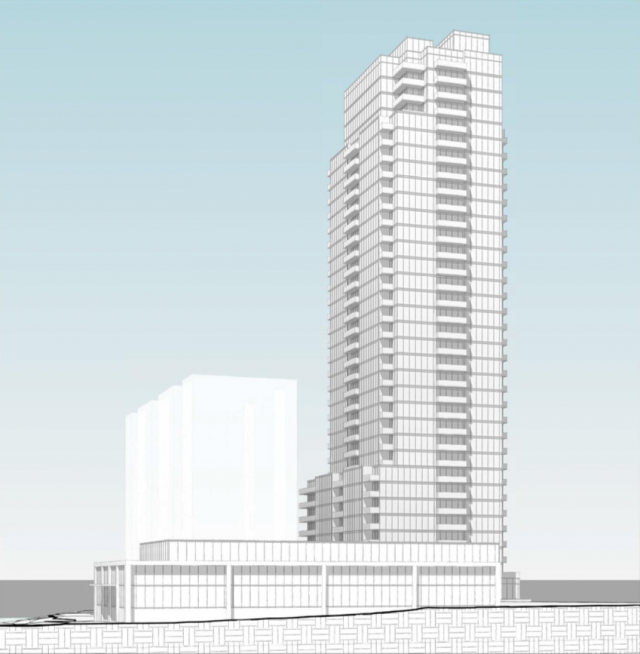 Application for a 35-storey residential tower-and-base building on the northern portion of a tower-in-the-part site. A total of 343 dwelling units proposed, as well as a three-storey parking structure for the residential units hidden behind at-grade retail space that fronts onto Sheppard Avenue East. The existing 15-storey apartment building containing 149 rental units will be retained.